Long before 1949, Charles Homer Wells was painting murals, signs and large pictorial art under the name Acme Services. When he fell off a scaffold and broke his back, he pulled one of his sons out of school to run the business. 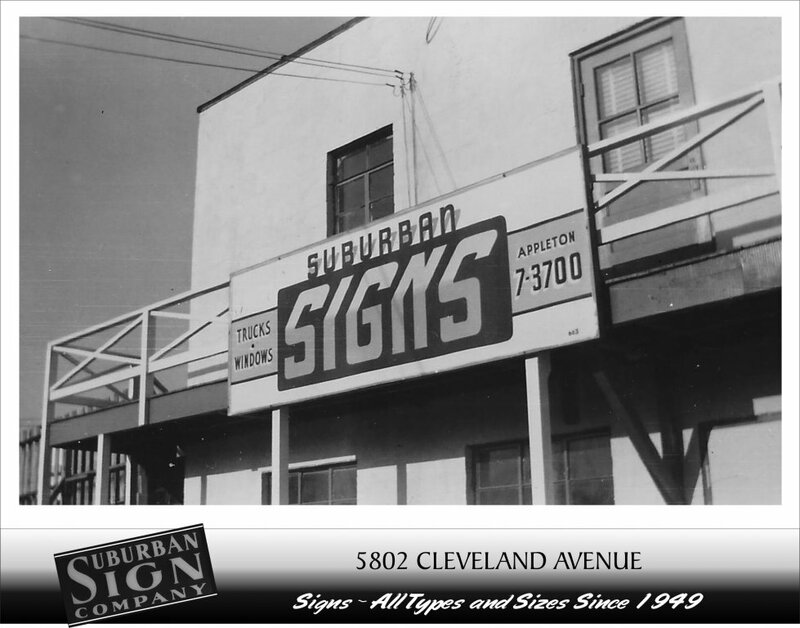 With just a 9th grade education, Robert Peacock Wells began what was to become Suburban Signs. The original storefront was in Riverdale but after several years, he decided to purchase a property in College Park and build his own building. Later on, his son, Robert Ernie Wells came on board and eventually took over the business, running it alongside his wife Connie for many years. 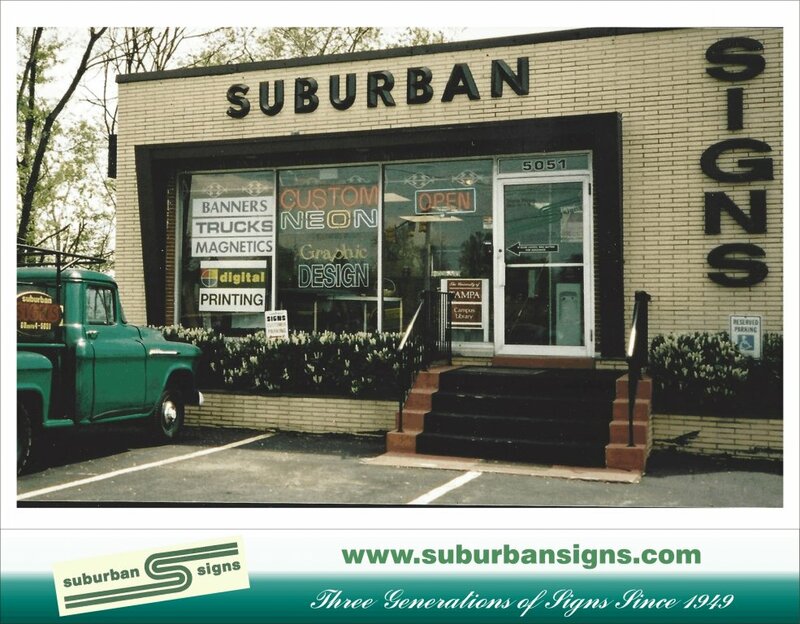 In 2008 when Bob & Connie were ready to retire, a local sign associate Joel Hurst & his wife Melissa, bought the business. 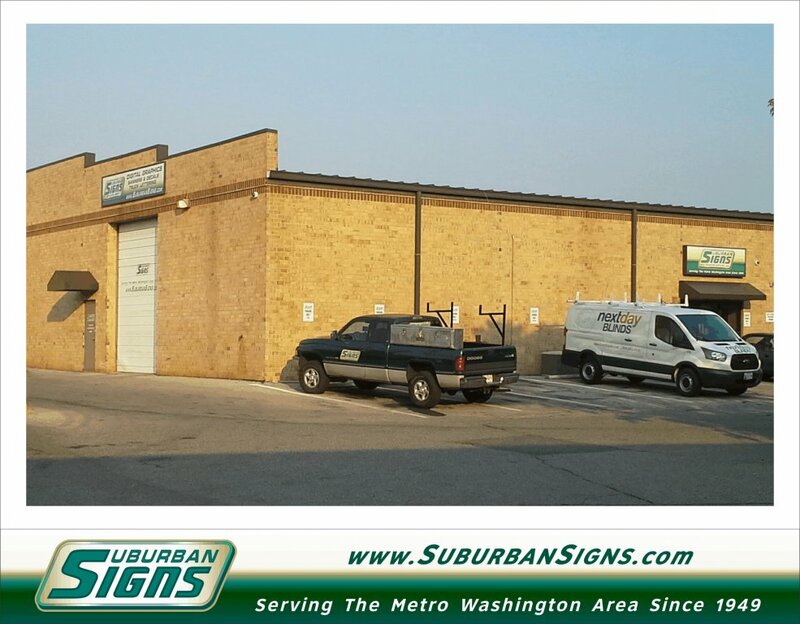 Today, we are located in Beltsville, in an industrial park about 10 minutes from the Beltway, just off Route One. 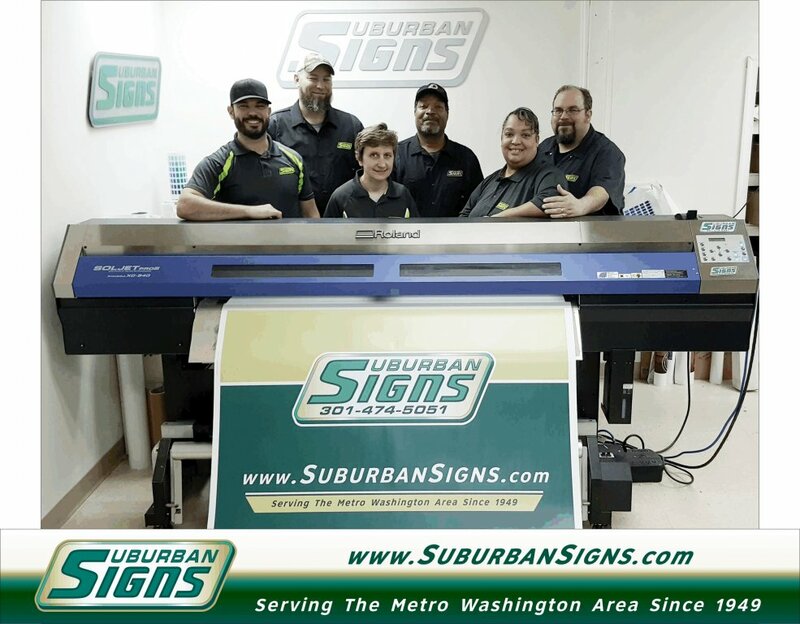 With over 95 years of combined experience in the sign industry, our friendly staff are ready to serve you. In fact, businesses all over depend on us for total advertising solutions. 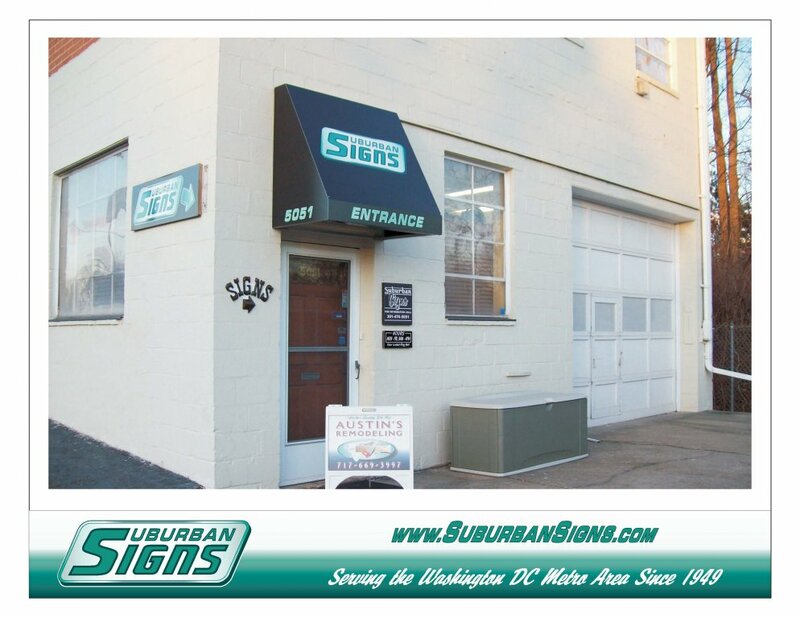 We use state-of-the-art, computer-aided sign making systems and techniques to create high-impact, cost effective signs that produce results that our clients can get excited about. The best part is that we do it all for you. Many of our clients just give us the text they want and at times even just the concept they are trying to convey. We do the entire thing from concept to completion, and all they do is pick up the final product and walk away with extra time to focus on their business and its demands.